In 1 Peter 1:7, Peter states that faith is of more value than gold. Why is faith more valuable than gold? He answers the question in what he says in the same passage: it is not perishable. Pay attention to the two words: precious and perishes. In Peter's mind faith ought to be imperishable, and indeed if it is genuine FAITH IS NOT PERISHABLE. It (ought to) endure forever. The Apostle Paul shares the same view of faith when he said, "Now these three remain: faith hope and love." 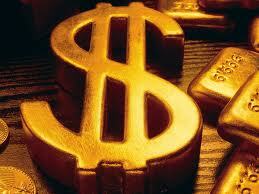 All that are of material (gold included) sooner than later will disappear, but faith remains forever. How can a dead man speak? How can a dead person still believe? But Paul says Abel though he is dead still speaks and he still believes! In Paul's mind faith survives death. The flip side of this coin is that we are to live by faith "always", that is, beyond the time and space. Faith is not something you believe while you are physically alive and stop. It is not something you stop having as of you breathing your last breath. Faith outlives the time (of life and death). So too you should live by it! Peter flashes the same view of faith when he says in 1 Peter 1:9, "[...at the appearing of Jesus Christ...] Receiving the end of your faith, the salvation of your souls." The idea here is that your faith if proven genuine outlives the time of your physical 'life' here on earth in a physical body. When you die physically, the functionalities of your body as well as your souls such as the cognition of your mind also cease to operate. Yet there ought to be some other functionalities that enable you to be capable of believing even through and beyond your death bed. What is it? It is the Spirit resting on and in you! Thus faith that is from God not from man is a spiritual commodity. By the same token, man without the Spirit is without faith, and therefore remains dead. Man without faith remains condemned to hang on and live by that which is of limited value. In the capitalist society, man without faith lives by relying on money ($$$) such as salary. Faith is faith in Jesus Christ who never changes, so as one loses this faith he lives by fake faith that believes in that which is perishing. As the money or gold he relies on perishes so will he perish. God's purpose in sending Jesus is to restore His glory upon/in/for man/Adam. Upon falling, man fell short of the glory of God. In Ezekiel 10, we see God's glory departing from the Lord's temple/Israel in ten painful, gradual, definite stages. Now, in the book of Ephesians, which is the Apostle Paul's doctrine of church, the temple of God, we see in Chapter 3 the Apostle Paul's prayer for the saints (14-20) wherein we can find God's glory revisiting His people (temple) in ten stages. "I pray that out of his glorious riches he may strengthen you with power..."
Man lives in a world with limitations. This limitedness however should not limit man to that which is limited for that which is limited stems from that which is without a limit. I would call this the wisdom to see the Reality beyond the reality. Look around yourself and see what you've got. "Hmmm... Everything is limited", you say. You are right. Time is limited, space is limited, the money sitting at your bank account is limited. The seats on the flight you desire to reserve are limited. Do you want an isle seat? Make reservations early. Do you want a first class seat? Be willing to pay more. In this world all are limited. Not all limits are bad. There is a limit to what your body can take in terms of food. If man's stomach take as much as his appetite goes, what will happen to his body? Since there are limits to the spaces, and since some space is more habitable/desirable than other locations, the prices of real properties vary, giving rise to the possibility for you to exercise self control and make a sensible choice among different locations. Still that does not and should not mean that you be limited. This is not the way your maker made you. You are made in His image. You are designed in such a way to rise from that which is limited. You are called to rise from the realty and attain to the Reality beyond the reality. It is expected that you are to tap into His glorious riches that is in Him. Remember that riches refer to riches in the true sense of riches. The riches stand for riches that are all encompassing that has ever been created - e.g., the spiritual, moral, ethical, physical, and much more. The Holy Spirit causes things to happen. He is so to speak the "go-getter". Speaking of the Spirit's faculty as a go-getter, Jesus says, "The Spirit gives life to man; flesh counts for nothing." The Holy Spirit as the go-getter for his children is also seen in his nick name, "Gift". Gift as an English word has the meaning of 'talent' or 'ability' to get things done. If we see a man doing one thing or another well such as playing a musical instrument, we say, "He is a gifted musician." As a gifted person, the Holy Spirit can do all things seamlessly. Since he is coequal with God, there is nothing which he cannot do. All things are possible with Him. For those who believe in Jesus Christ, the Son, as Peter says in Acts 2:38, the Lord God gives him a gift, namely the Holy Spirit. 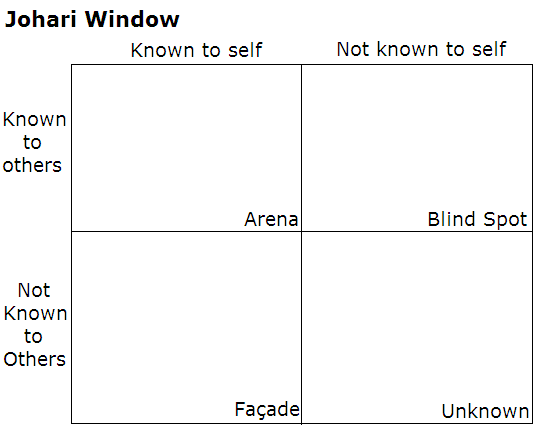 In the Johari Window, of the four sections of one's person, two sections are not known to self: the Blind Spot and the Unknown. 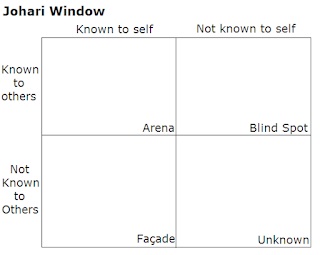 The Blind Spot represents the part known to others but not known to self. The Unknown segment stands for the part of one's inner bing that is not known to self nor to others; it is the area known only to God. It is one's self that runs his life. Life is compared to a journey, a flight so to speak. At the cockpit, is seated self which steers the course of life just as a pilot at a cockpit controls the airplane. A pilot ought to know all about the journey. Self who is subject to the Blind Spot and the Unknown is not qualified to run the life. Socrates, a Greek philospher, recognized the importance of knowing oneself, so he said, "Know yourself." Question becomes, "How can I know myself?" The Holy Spirit who dwells in one's inner being answers the question meeting the need. He provides for man the solution to the problem. He makes the self complete. Speaking of this phenominon Ephesians 4:24 says, "Put on the new self created to be like God in perfect righteousness and holiness." Further, Colossians 3:10 reads, "Put on the new self which is being renewed in knowledge in the image of its creator." And His name is Counselor. The fourth step in which God restores His glory in man is the Christ dwelling in one's heart through the work of faith in Him. The key to this step to become operative is the faith. Christ is the Savior who is now seated at the right hand of God. He is the High Priest ministering on behalf of his children at the Heavenly Temple. Jesus' heavenly ministry is connected seamlessly with his children real time. For this to occur constantly faith becomes necessary on the part of a believer. Faith is not a one time transaction. It must be operative on the part of a believer all the time. As long as faith is there the connection becomes constant. The connection serves as a channel for God's glory to travel to man's self and throgh him to next step. Bucket with a hole cannot hold water. Or a tree which is not firmly rooted in the right soil cannot grow up. Man is compared to a tree. A tree rooted and established at a right kind of soil can grow tall. For prosperity man like a tree ought to be planted in the right soil which is the love of God. Why is love the right soil? It is because it connects to the source which is giving. Love stems from God for God is love. The love of the world is taking, just as a man saying, "I love my chicken". If he loved his chicken why would he eat his chicken? God's love is different. This love alone gives life to man. Love of God gets man established. He is establied in the sense of being prosperous despite counter forces. The Apostle Paul prays saying, "...that you may have power, together with all the saints..."
God created man to prosper by working together with fellow men. This concept is seen even in the way Chinese word for man (人 pronounced 'ren') is shaped. The same truth is hidden in the golden rule, "Love your neighbor as you love yourself." The reason for this set is that God bestowed upon each person his or her unique greatness, so that by working with fellow human beings, man can reach true greatness. Knowledge here refers to the personal knowledge based on intimate relationships. Love of Christ stands for the love that forgives, and forgiveness is in order for Him to give and give more. Without forgiving, relationship cannot thrive. Through forgiveness relationship is restored, so God is in a position to give his children free gifts. Christ's love has four dimensions - width, length, hight, and depth. The four dimensions connote the four directions north-south, left-right, up-down, and time. Each dimension extends without a limit, so a limitless universe comes into being. Imagine then one knowing the goodness of love along with its all satisfying effect, and practicing this love, so the love flows from the center (one's self) to all different directions of his sphere. The extension of this love flowing from the center to all others is the key of all keys in causing the glory to arise. This key is seen in the way the Garden of Eden is designed, such as the head stream at the center of the Garden braching out in four streams flowing to the world. In Ezekiel the same vision is seen as a river of the water originating from the south side of the altar, flowing to the east, then heading south, in ankle deep, knee deep, waist deep, and swim deep, and wherever the water flows life propers with fishers standing on the river bank. The Apostle Paul expressed the same concept saying, "To give is more blessed than to receive." What does 'good' mean except the joy and sense of satisfaction getting filled up to the brim to overflowing? Giving to God (charity), to neighbors, animals and the nature is the foundation of prosperity without a limit. The fulfillment of this stage is commensurate with the performance described in the condition set forth on stage 7. The love of Christ appreciated as principle is bound to be practiced. Where the goodness of the principle is appreciated, practice will naturally follow. As one grasps the knowledge beyond the knowledge, namely the love of Chirst, so will the measure of that which is of God increase. In Downey there are different hamburger shops - Wendy's burger, McDonald, Carl's Jr. Burger King, and In-n-out burger. Of all the burger shops, In-n-out is most crowded. Obviously the success largely depends upon the level of customer satisfaction each shop offers. Hamburger goes into a mouth, then stomach making you satisfied at least temporarily. Likewise the love of Christ serves as food for soul. And the one who is happy first is the man who shares the love of Christ. The supreme example of a man filled with the measure of the fullness of God is Jesus Christ. He is the perfect God-man. As a man he set the perfect example of a man who practices the kind of love God has. So it is he who was and is filled to the measure of the fullness of God first. Then there are saints such as the Apostles. They grasped the knowledge beyond knowledge, and as they tasted the goodness of it and practised the four deimensional love in full strength and force, it was they who were first filled to the meassure of God's fullness. Stages 1-8 exist on invisible levels, whereas the stage 9 manifessts on the lowest level, that is, the level of visible reality where action counts. Two points to consider: who is the doer, and what prompts the doer the doing. The doer is God and the asker is you. As you pray God does more than you can ask or imagine. But you must ask. The difference between what God does and what man does is immense, just like sky is higher than the earth. God allowed man to do a number of things. With the gifts talents abilities endowed by God, man can do many things. But a wise and mature person discerns the difference between what God does and what man does. So he learns getting things done not on his own but through God. Those who exist on an animal level love to exert themselves, without referring to their Creator. The results of their exertion might look impressive, but in the end, their achievements will amount to nothing as the Scripture states, "Plans are many in a man's heart, but it is the Lord's purpose that prevails." But we should not be pessimistic about this, because those who love the Lord and hold a firm grip of the knowledge beyond the knowledge, learn to do not on their own but according to the Lord's will. This is the final stage, that is, God revealing His glory in the lives of his children, so that God's name would be glorified through his children living for God's glory. Message by Pastor Mark Moran on 1 John 1:6-9. The Lord's communion was instituted by our Lord Jesus. 1) What does John mean to say God is light? 2) What does it mean to have true fellowship with God and with others? 3) How can we enter into such fellowship? God is holy and pure. In him there is no darkness at all. Darkness is the absence of light. When light shines darkness disappears. So is the spiritual realm. His absense is darkness. We cannot have fellowship with him and at the same time walk in darkness. Our status with Christ depends only on his grace and unchanging. Our fellowship with God and with one another depends on us walking in light. Anything we do on our own belongs to darkness. To John fellowship with one another and with God are not separable. The problem with our fellowship with one another is a sympton of the problem in our fellowship with God. Eph 4:3-5, "Make every effort to keep the unity of the Spriti through the bond of peace." So allow Jesus to purify us from our sins. Love one another, as I have loved you. So if one does not love one another as Jesus has loved us, he is already sinning. But if he confesses his sins, he forgives him of his sins. Jesus' promise is enough. The action: confess all of our sins, especially the sin of not loving one another as Jesus has loved us. Then we can participate in the communion service. Pastor Ron prayed, "Our Heavenly Father! Thank you for Jesus whose body was borken and whose blood was shed for our sins." This is the Lord's table; all who accept Jesus as the Lord and Savior are invited to the table. "Do this in remembrance of me." "Examine yourself before receiving the grace of Jesus' forgiveness." Now come and take bread and the cup, proclaiming the Lord's death until he comes. At 10:30 a.m. of second day, Friday Feb. 22, 2013 the congregation moved to the IUP Ed Fry Arena, to listen to the message by Dr. Abraham Kim. Chris Jewell, a young director candicate at the Owens college, presided over the meeting. He shared a brief testimony. While on campus he met Missionary Paul Choi. He accepted the invitation to study the Bible. Soon he started writing Bible testinonies, and sharing on every sunday. He also began feeding sheep on campus. He is 6' 7" tall. He is a presider for the UBF sunday worship. Lately one of his student on campus lost a pastor who died of age. So Jewell took over him and started ministering for the student. 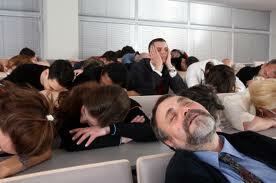 On attending the staff conference he saw that in UBF many are getting old. So he prays to serve the Lord as a young pastor, shepherd. Dr. Abraham feels indebted to all of the congregation. Christianity today lacks the knowledge of God. One Mexican business man is wealthy worth 17 billion dollars. But compared with the riches we have in Jesus, his wealth amounts to nothing. Paul saw the vision of God's church filled with the riches of God's grace. Jesus welcomed social outcasts into his kingdom, including Gentile believers. Jesus is our peace. In Jesus all are equal sharers in God's grace. Paul became the servant of the gospel by the gift of God's grace. As God's servants we should preach the fullness of God's grace. The riches of Christ icludes: election and predestination for sonship; redemption and forgiveness of sins; spiritual life, power; sanctification, wisdom and knowledge of God; the hope of resurrection and inheritance of thekingdom of God; a holy and victorious new life; peace unity and felowship among believers; and God's love. Dr. Abraham states we need to accept fellow brothers and sisters as they are, their weaknesses and strong points. From the message and the Bible passage I was reminded of the reasons why the Apostle Paul once remained powerless and yet came to be pwoerful enough to be filled to God's fullness. The expression "grasp power" indicates that indeed he used to be powerless and therefore became miserable, but later through God's grace that is forgiveness of God via faith in Jesus' atoning sacrifice, he became powerful enough to know the greatness of God's love, so he came to be filled to the full measuure of God. Before the meeting, there was a dinner served. During the dinner I had a fellowship with many especially Dr. Hongseok (Moses) Noh (from Anam UBF). He is an associate professor and director of BioMEMS and Lab-on-a-Chip Laboratory at the Department of Mechanical Engineering and Mechanics (3141 Chestnut St. Philadelphia, PA, tel 215-895-2273; email mosesnoh@coe.drexel.edu; website http://mems.mem.drexel.edu). He is now working with a surgeon on a device (chip) that can be implanted in human brain that can treat a disease 'hydro-cephalus'. The device is a plastic chip (5 mm by 5 mm by 5 mm) that can be planted on the water way inside of brain. Human brain is floating in a body of water, so when the God-given biologic valve does not work, water circulation is inerrupted, so the disease breaks out, so when the system breaks down, a plastic chip can perform as a valve to pump water, control the circulation of water in which the brain floats. The meeting took place at a smaller conference hall. Pastor Kevin Albright presided the meeting. International guests included: Bayarmagnai Bayardalai (Mongolia UBF), Konstantin Kalinkin (Moscow UBF), Reiner Schauwienold (Heidelberg UBF), Water Nett (Koln UBF, European Coordinator), Abraham K. Lee (Koln UBF), Timothy Rhee (Guadalajara UBF, Latin American Coordinator), Stephen Ahn (Korea UBF), Elijah Lee (Korea UBF), Daniel Rhee (Africa UBF), and David Kim (Korea UBF General Director). Staff of Newly Beginning Chapters included: Dr. Abraham Koo (Columbia, MO; from MSU UBF), Dr. Abraham Jeong (Cerritos, from Downey UBF), Isaac A. Kim, Joshua Jeon (Austin, TX; from Lincoln Park UBF and Chicago UBF), Joshua H. Choo (Louisville, KY; from Houston UBF), Luke Lim MD (Washington II UBF, from Washington UBF), Gideon Sherwin (Pampano, FL). There were introduced "other new staff of current UBF chapters" as well as "New Staff/Chapters not attending" and "Observers". See the list in the photos below. Pastor Ron gave the congregation words of orientation esp. on the theme title - the Church, God's household. Pastor Mark Vucekovich shared a message entitled "Our Fellowship" on 1 John 1:1-4. - Pray for our small house church ministries. For breakout session, we moved to the main arena of the main hall. I joined the group no. 10 led by Shepherd Paul Sambucco. Based on the handouts we discussed the isssues on the list. After breakfast, there was a group Bible study on Ephesians 3. My group (group no. 10) led by Shepherd Paul Sambucco had a fellowship among Deborah Lee of Shipensburg, Gloria Choo of Arlington, Walter Nett from Germany, Ruth Kille (a Taiwaneese, the wife of Pastor Russel Kille of Toledo UBF), Wesley Jun of Lehi, Rebecca Sung (from Anam UBF, Korea) of London Canada, and myself. Shippensburg has recently purchased a house which they call "Fellowship House" which consists of worship hall downstairs and common life space upstairs. From the group Bible study I was reminded of the grace of God by which a servant of the gospel is equipped. Paul says in v. 7 he became a servant of God by the gift of God's grace. He also states in v. 16 members of His church get equipped with the power by the Holy Spirit. The title of the lecture (Ephesians 3), "Be filled to the fullness of God" further suggests this way of empowerment being the case. What Paul prays for the Gentiles is that inasmuch as God chose to save the Gentile believers through faith in Jesus, all Gentile believers ought to go for the will of God that is to let them get filled with Christ making them be filled to the fullness of God. It can hold 5,000 people. May the Lord bless North America to serve his great purpose that is to send out Missionaries making disciples of all nations! From Feb 21-23, 2013 in progress on this venue is the Canada/USA 2013 UBF staff conference. The miracle of Jesus walking on the water can be explained by the Quantum Levitation? 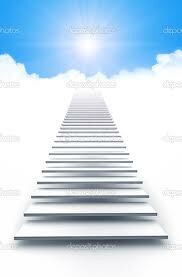 What about the miracle of the Risen Jesus going up into the sky (or heaven if you will) while his disciples were intently watching him going up with zero friction? Or the miracle of the Risen Jesus walking through a solid wall? Combine the Quantum Levitation with the discovery that 99.999% of man's body consists of empty space. See the discussion below. All matter is 99.9999% empty space. Everything you can see and touch is actually mostly nothingness, even seemingly immovable objects. This is because of the very tiny sizes and relatively huge distances between electrons and their nuclei. If we scaled an atom's nucleus to the size of a baseball, the electron cloud would be about 2.5 miles away. The only reason we don't fall through the Earth is because of the repelling effect of opposing charges between atoms. In fact, matter is so vacuous that if these oppositional forces stopped working (except on the ground), you could walk through walls, or buildings, or aircraft carriers and none of your atoms would even come close to the atoms in those objects. You would just pass through it like air. To go a step further, if we were able to eliminate the empty spaces by crushing all these atoms together as close as they are in a neutron star, just a teaspoon of matter in this state would be dense enough that it would weigh 900 times more than the Great Pyramid of Giza and would sink to the center of the Earth like a marble dropped into an empty bucket. Frank Tipler (in his books The physics of Christianity and The physics of immortality) maintains that all miracles recorded in the Bible are explainable/doable without God having to violate the laws of physics. And the Apostle John calls Jesus "logos". Could this mean Jesus is the Author of all laws, principles, regulations, decrees, including the laws of physics built in the nature? Did Jesus perform "miracles" without violating the laws of physics? Or does it matter for we are called to live by faith in Him the maker of all? 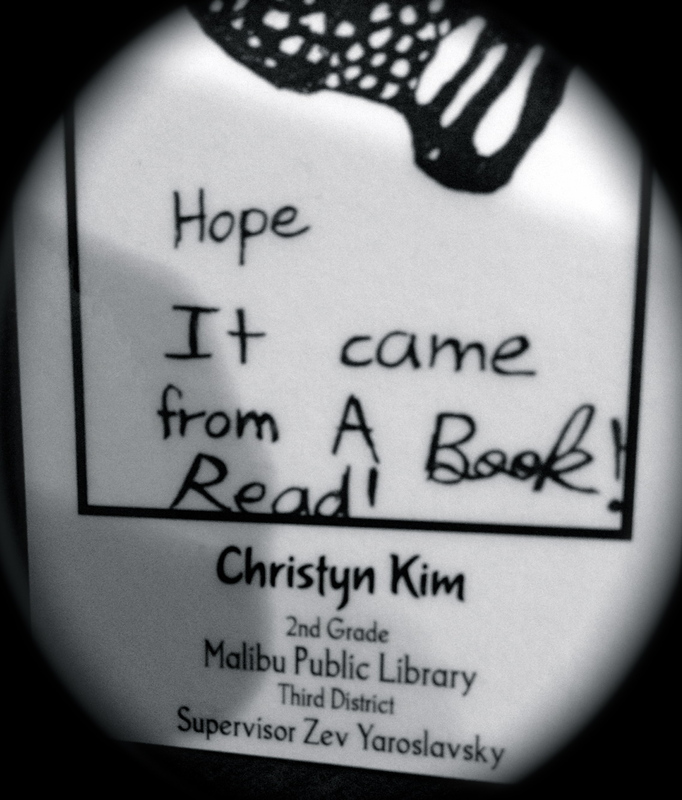 Hope comes from the Bible! Read! The drawing depicts a butterfly that has just come out of a cocoon hanging upside down a branch with flowers. In the Bible we find the Life of a resurrected life in the Lord - the hope of all hopes. And it does come from the Book! It is a terrible thing to live a life not knowing the purpose of it. i'm not sure of? oh no, oh no." On his death bed, his wife Ono said, "Oh, no, oh no." Obviously John Lennon did not know the purpose of life. More or less the same thing happened to a man named Lao Tzu, supposedly the founder of the Chinese Taoism, an ancient Chinese philospher who allegedly lived about 5 centuries before Christ. In his book Tao Tse Ching, he said, "Tao (the way) that can be called Tao is no longer Tao." Obviously he did not know why he ought to live and for what he was to live. Later, again according to one tradition, he felt sick and tired of what he observed going on in this world especially among government officials, particularly their corruptedness, he suddenly became silent, then disappeared into a mountain and committed suicide. Why then did God give you life? What is the purpose of life - your life and my life? Isaiah 49:5-6 gives out the answer, that is, to restore man back to God himself. We've wandered off of him. But he is seeking after, so we be restored back to him. The Bible categorizes all peoples of all ages into two categories: Jews and Gentiles. Jews are often called Jacob or Israel. Gentiles are all peoples on earth minus Jews. The differences between the two classes are that the former is the direct recepient of the Revelation (God's word) whereas for the latter the Revelation (such as the will of God in regard to everything on life, like the purpose of it) is given second-handedly. Isaiah who lived about seven centuries before Christ was one of the prophets who were given direct access to God's revelation. And in Isaiah 49:5-6, God revealed to him the purpose of sending him to the Jews and the Gentiles, that is, to restore you and me back to Himself. About 7 centuries after Isaiah, God sent Jesus His Son who in turn made the purpose of life clear, when he said in John 14:20, "On that day you will realize that I am in my Father, and you are in me, and I am in you", or as in John 17:21 says, "[A]ll of them may be one, Father, just as you and I are one." I think the Lord reconfirmed this being the case with every one including myself, by allowing me to check into a room no. "C2101" at tbe Viva Wyndham Hotels and Resorts at the Grand Bahamas. On my way back home from Africa, which involved 17 hours of airplane ride, I grew weary so in order to give myself a little break, I found one good all inclusive (flight, hotel, meal etc.) package deal, dropped by the Freeport at the Grand Bahamas. The guy at the receptionist had a hard time to find the reservation. Finally he tracked down my reservation, and assigned me to a room way back there in the corner: C2101. Why did the Lord arrange the room number this way? Here is my interpretation: C stands for Christ. 2 stands for two to be united into one, that is, Jesus Chrsit the head of the church, and myself, the member of the church called the Bride of Jesus Christ. What does 101 signifify? The two individual one's becoming "0", that is, a complete merge. Why should "C" stand out upfront? It must be so for it states the means by which to make this heart-beating purpose possible, that is, Christ who died for all of our sins (or failures) and rose again to transform them into victories in life. So life 101 which is the gospel (or good news of life) 101 can be summed up with "C2101", that is, God sent His Son Jesus Christ in order to (thus the number 2) form the two (Jesus the husband and the church the bride) (thus the number 2) to become one (thus there is a number '0' that stands for oneness in the sense of nothingness that hinders the two from becoming one] still with each of the two ones maintaining individuality (thus 1 and 1). This makes me to stop 'wandering' around and start 'wondering' on the 'wonder of life' in the Lord who is the sum total of all the wonder of wonders. So stop wandering start wondering. Pastor, why did you let me fall asleep last Sunday? The data shows that student attention level takes a dive, approximately 10 minutes into a lesson. This is a natural occurrence (and I believe the reason YouTube videos were initially limited to <9 minutes), but can be dealt with by a good instructor. The problem is most instructors (particularly at the university level) know next to nothing about the learning process and instructional theory. A good instructor will introduce variation into a lesson every 10 minutes to regain the students' attention (as depicted in the below graph). This variation can be accomplished in many ways - from inserting a student activity to asking questions or otherwise soliciting involvement from the students to changing the delivery style or mechanism. The problem is that so many instructors see instructing as a one-way communication. If a student is not contributing to the communication, they lose focus and many literally go to sleep. There are other triggers for sleeping during lessons, such as eating a large meal immediately before the lesson, poor ventilation in the classroom, and tired students. There is one silver missionary couple serving healing mission at the Makerere UBF, Kampala, Uganda. They are in their sixties. Mr. Stephen is an acupuncturist. He and his wife has one son and one daughter all married. While Mr. and Mrs. Sung were in Korea they expressed their desire to help out the needy in Africa, but they did not have financial means to do so. Their two children honored their parents' desire to serve the Lord, so pledged to support their parents financially. So Sung couple are now staying at one of the guest rooms at BMC treating patients. Dr. Joseph Chung has a high opinion on the couple. After the Sunday worship service, the Medical healing mission team left the center for a remote cillage. Then right before I and Missionary Mark Yoon of Kenya were about to leave BMC for the Entebe airport, I chatted with Dr. Joseph. Around that time, Mr. Sung was closing the front door of the BMC, and his wife was doing some clean up. So I asked Dr. Joseph about them. And Dr. Joseph shared with me how they joined the ministry. He spoke hightly of them. So I asked them to come and have a photo session with me. May the Lord bless their service in the Lord. Makerere UBF has five shepherd families. In order to study at Makerere of Kampala Uganda Kennedy moved from Kenya to Uganda. His wife Vivian is Ugandan. Kennedy is an optomologist working on residency program at Makerere University. Patrick is a phamacist and Lillian is a medical docctor. Abraham is a medical doctor. Stephen works as an engineer at the National Institute of Science and Technology. He served a Sunday message today entitled "David's 500". Alan is a teacher teaching agricultural engineering at the Nkumba University while working on a phd program. Shepherd Kennedy was holding his son (1.5 years) wearing a shirt with a message "God has big plans for me." So God's hope for Bible Uganda and world mission is alive seen everywhere including on a t-shirt. After the sunday worship, I and Missionary Mark Yoon had to leave for the Entebe Airport. It is about one hour of driving distance from the Makerere UBF center to the airport, if there is no traffic. Dr. Samuel Yoo arranged Shepherd Daniel to give us a ride to the airport. On the way, I struck up a conversation with Daniel. Here is a brief story of Daniel's life in the Lord. He was born and grew up at Kampala, Chiambogo area. His parents are Catholic, and they work as staff members at the Chiambogo University. During his second year at the Chiambogo, studing civil engineering, one of his close childhood frlends invited him to a Bible study. At first he was reluctant, but since he grew up with his friend from childhood all the way to his collelge years in the same neighborhood. out of curiosity he accepted the invitation. Dr. Samuel Yoo led the Genesis Bible study. Genesis lesson 2, the Bible study on the Garden of Eden deeply touched his heart. Study moved him so much that since then he never missed the Genesis study. One day while he was seated underneath a tree on campus, he was deeply meditating on what he learend on Genesis 2. Then he met Kennedy. He invited him to the Bible study. Now brother Kennedy works as a Chiambogo UBF webmaster. He lives near Nkumba university. From his place to Chiambogo University it takes about an hour by car. He has deep respect for Dr. Samuel Yoo. Due to work as a civil engineer he used to be late to the Bible study appointments. Yet, Dr. Samuel Yoo was always there on time. Dr. Samuel Yoo serves sunday worship messages faithfully. He also has many sheep to teach the Bible. "Yet, he is always faithful to Bible study appointments", says Daniel. Now that Daniel grew up as a shepherd, he struggles to follow Dr. Samuel's example. Once upon a time because his job site was about 250 kms away, as a civil engineer working on a dam project he had to drive 500 kms round trip every weekend, so he could attend the sunday worship. Nowadays he was given a new blessing that is to pioneer NU, together with Shepherd Patrick Ogwang. He has two sheep at Chiambogo. Although he lives at a place near NU, he visits Chiambogo twice - Wednesday and Sunday. On Wednesdays he goes early to have a Bible study with his sheep at 4:00 p.m. and then attend a leaders' group Bible study at 7:00 pm at Chiambogo UBF center. Sundays he has a worshp at 9 a.m. and then he studies the Bible with his sheep. The remainder of week days, he visits NU to feed sheep. Since the NU campus is on the way from Kampala to Entebe, we dropped by NU campus, took a picture, and had a prayer meeting. I asked Missionary Mark Yoon lead the prayer meeting that Shepherd Patrick and Shepehrd Daniel would work together, and produce national leaders, to turn the nation to be a kingdom of preists and a holy nation. At 9:00 am we had a sunday worship. About 200 attended the service. Dr. Abraham presided the meeting. through a wilderness training like bread training or fear training. While studying overseas Stephen also went through bread training. He read an ad for job opportunity at a hotel. At a job interview the chief chef asked "What can you cook?" Although he knew nothing about cooking he said "I can do everything!" At Makerere 10 apostles team members are growing under his leadership. Sunday worship attendants increased 300%. May the Lord use this site for BMC as David's Addulam where David's 500 brave soldier's of Jesus may be raised. On Feb. 9 (Saturday), 2013 at 10:00 a.m. at the compound of the BMC, located accross the main entrance to the University of Makerere, a dedication service for the BMC took place. 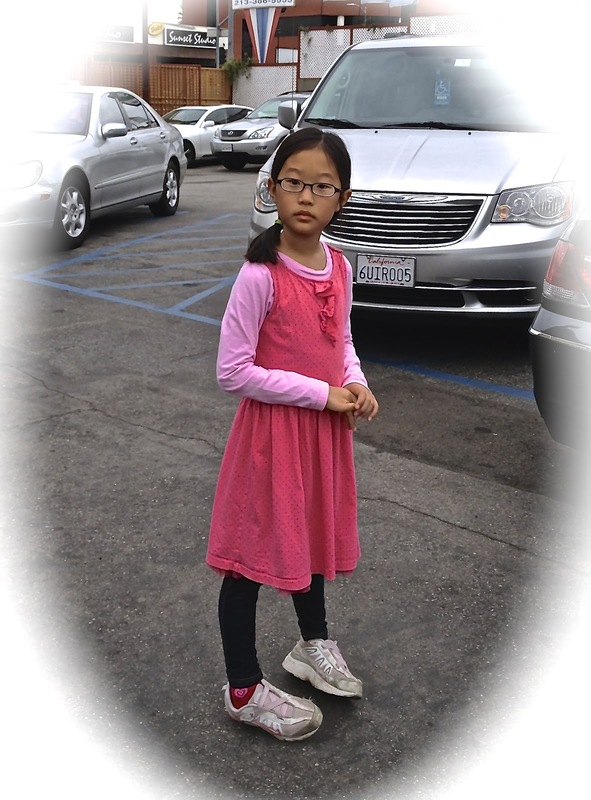 Other attendees include Missionary Mark Yoon from Kenya and Rev. Daniel Rhee from S. Africa. To celebrate the occasion came Korean community leaders. Among them were Rev. Jungsik Lee (President of Korean missionary association), and Mr. Park Jongdae (Korean Ambassador). Dr. Abraham Omoding presided the service. Missionary Isaac Kim offered a represenative prayer. He asked Dr. Luke Lim, "What do you want me to pray for?" 2. For the Bethesda Mission Hospital Project to become prosperous; and 3. For the provision of the resources for BMC (men power like medical doctors or nurses, and mateirals such as medical equipment). Dr. John Jun served a message on Haggai 1, stating we ought to do something practical to serve people. He also said that this BMC be used as a 'recharging' center for missionaries and shepherds operating in Africa. Kwangjoo UBF III members did a Taekwon Dance. Makerere UBF choir offered two special songs, before the service and at the closing of the service. Dr. Luke Lim shared the history of BMC. Missionary Mark Yoon read from a note the congratulatory remark made by Dr. Abraham Kim of Chicago. Rev. Daniel Rhee gave a benedictory prayer. After the service, Dr. John Jun along with Korean Ambassador and Rev. Jungsik Lee cut the tape to the building. Then there was a guided tour through the building. The tour began from the first floor to the second floor then to the basement. First floor is to be used for pharmacy x ray room lab cashier and toilets, on the left wing side, eye clinic pediatrics, internal medicine, dentistry, etc. on the right wing side. Second floor is dedicated for the principal's office, room for endoscope, doctors' break room, operation prep and operation rooms, in-patients' rooms, and nurse station for admitted patients. Each floor is 450 sf. The new building in brown color is sitting right next to the old building (white color) on the lot size of a half acre. After a snack party, they took a group picture. In the afternoon Dr. Ulryke and her company arrived from Germany to join the medical relief mission. One missionary to Tanzania repeatedly advised me not to take the Ethiopian Airline. Reason? The prices are cheap but services are cheap also. Plus they have a good record of airpnane crashes. They are accidents and incidents prone. Click here for the infor. Yet here I am at the IAD (airport at the Washington DC) ready to board the Ethiopian Air bound for Uganda (to attend the opening ceremony of the Bethesta Medical Mission Hospital at Kampala) feeling weary and weak (not just for my tooth pain). Does the Lord have a remedy for this sort of weariness and weakness? Yes he does. In Isaiah 40:28-31 it is written:  Do you not know?Have you not heard? The Lord is the everlasting God,the Creator of the ends of the earth. He will not grow tired or weary, and his understanding no one can fathom. He gives strength to the weary and increases the power of the weak. Even youths grow tired and weary,and young men stumble and fall;  but those who hope in the Lordwill renew their strength. They will soar on wings like eagles; they will run and not grow weary,they will walk and not be faint. Verse 31 represents "the" resurrection message of resurrection messages (in my opinion). Being subject to gravity and carrying a body made of dust even youths grow weary and weak. I am in my 60's and I see this being the case in an increasing measure. Yet how is it that a man even soars into the sky? What does it mean to soar riding on wings like eagles? What are the wings made of? Who with what sort of body is capable of running even at God's speed and yet NOT grow weary? Do you need a hint? - "Those who hope in the Lord" You've guessed it right! A man with a resurrexted body. (Romans 8:24) Now I boarded the Ethiopean Air and ready to go up into the air.